A report from Russia's news program on "Rossiya-1"
Joseph Goebbels, Hitler's Minister for Propaganda is turning in his grave. On 8-9 July 2016. Western and Eastern European leaders gathered to recite the same lines over and over again, justifying anti-Russian circumstances that they themselves facilitated. You won't hear about the CIA funded Ukrainian coup, nor the subjugation of modern Ukraine to the IMF and the World Bank. You won't hear about Biden's son sitting on the board of Ukraine's largest gas producing company Burisma, and other examples of financial colonization. You won't hear about the referendum in Crimea that voluntarily sought to join Russia - with no sign of protest to this day. You won't see an explanation of what the Minsk agreement is and who is party to it - nor will you see a breakdown of which side in Eastern Ukraine is attacking and which is defending. What is being asked for, in effect, to fully satisfy NATO, is nothing less than for Russia to simply stop existing. "Hi, everybody, I'm the guy hacking the Clinton machine." The recovery in world oil prices since the February low of $27 per barrel has died an unceremonious death due to flagging demand and massive market oversupply. Oil prices careened downward to the lowest level since April 6 sounding alarms for commodities traders and countries whose economies are dependent on energy revenues with analysts predicting that the worst is still yet to come. On Friday, Brent crude broke past the $42 a barrel resistance level tracing into bear market territory while its US counterpart West Texas Intermediate was down 1.1% to $40.60 a barrel. Oil prices have collapsed a concerning 16% for the month of July on a whole marking the worst monthly decline for the year so far. Prior to this month, energy prices had been on a general upward trend after falling to a 13-year low of $27 a barrel in February. The story behind the violent crash in oil prices has been the same throughout the month with US energy reserves holding strong despite a slowdown in production in the face of flagging economic demand that saw the American economy grow only 1% in the last quarter and with manufacturing data signaling a recession may be on the way. towards oversaturating the world’s oil market. When oil prices careened off a cliff in February, the Saudi Kingdom vowed to increase energy output by 1 million barrels of oil per day (mbd) immediately with a similar jump in production planned for July. In total, would oil output remained fairly constant near 100 million barrels of oil per day outstripping demand by roughly 2% causing energy stockpiles to swell across the globe. Energy demand continues to look bleak in the near and mid-term future with China’s latest GDP figures sparking concern despite jumping above a 6% annual growth rate for the first time in years as analysts noted that over 60% of China’s economic output was traced directly to economic stimulus. A downward spiral in oil prices could end in a sharp bounce back for energy markets with analysts fearing that oil-rich states like Libya and Venezuela, whose budgets are based heavily on commodities prices and which lack sufficient access to credit markets, could descend into political chaos due to continued economic pressures caused by the collapse in oil prices – this would cause production to falter suddenly pulling millions of barrels of oil per day off the market pushing prices upwards. Other traders express concern that areas that have been impacted by recent supply disruptions, particularly Canadian oil fields savaged by the Fort McMurray fire and Nigeria whose output remains unpredictable due to political unrest, may soon see a return in output worsening global oversupply. Leading US investment bank Goldman Sachs issued a warning on Thursday that oil prices will remain below $50 per barrel until at least mid-2017 and that risks remain "skewed to the downside," reported Reuters. Market Watch also cautioned that oil prices face downward pressure in relation to a strengthening US dollar in the wake of Britain’s historic vote to exit the European Union which they anticipate will stifle any possibility of prices rebounding in the near-term. 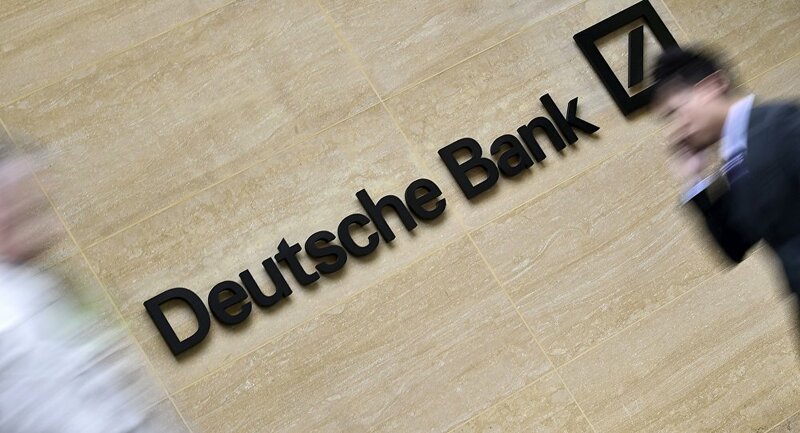 Coming in with one of the worst stress test results was perhaps the most systematically important financial institution in Europe, Deutsche Bank. The financial institution saw a 98% plunge in its annual profits sparking concern that it may be the Lehman Brothers of 2016 creating a domino effect infecting the assets of the global financial system. However, as bad as the news has been for Deutsche Bank, the prize for the most vulnerable financial institution in Europe went to Italian lender Banca Monte dei Paschi di Siena (BMPS), the world’s oldest bank. BMPS is reportedly loaded with toxic loans and mortgages and in the event of an economic downturn the institution’s capital ratio would dip into negative territory – or bankruptcy. Although Europe’s banks appear shaky enough that a light summer breeze could knock them over, economic analysts wonder whether macroeconomic headwinds will persist turning the danger into a tragedy. The shock that crushes Europe’s financial sector may not be the start of worldwide recession – although Britain’s post-Brexit economic output looks dreary, China is surviving on a flood of stimulus spending, and the United States GDP growth was an uninspiring 1% in the last quarter – but instead the sudden drying up of German debt markets which means overleveraged financial institutions cannot access capital to cover bad bets. The European Central Bank largely created the dry up in the credit markets through its Quantitative Easing stimulus program fueled by the purchase of German government bonds to infuse new liquidity into the financial markets, but Germany has halted borrowing and the ECB is blocked by its own rules from purchasing other bonds that are below benchmark interest rates, reports Die Welt. Firstly,the Democrats' headlong move to war with Russia and China. 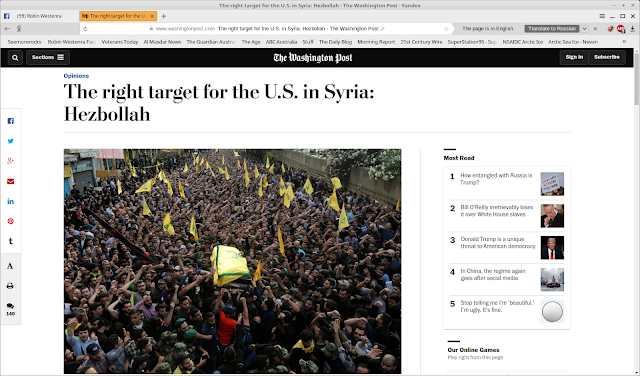 According to Hillary Clinton's foreign policy advisor, Jeremy Bash, if Clinton is elected she will order a "re-set" of US policy toward Syria to emphasize the "murderous" nature of the Assad regime. As the Telegraph reports, Hillary Clinton will breathe new life into the "Assad must go" camp. She will likely launch a full-scale US invasion of Syria. This "he gassed his own people" line is the Syrian version of Saddam's "WMDs," a lie repeated ad infinitum to make the case for war. If Hillary becomes president and gets her way with a Syria "re-set" the prime beneficiary will be radical Islamists. There literally is no secular, moderate opposition to the Assad government. How do we know the jihadists will come out on top? Her last great intervention, the "liberation" of Libya should be precedent. Gaddafi was no angel, but until shortly before he was overthrown he was a Washington ally, a secular counterpart to creeping Islamization of the region. After the 2011 "liberation" strongly backed by Hillary, Libya has turned into a hellhole of competing radical Islamist militias and warlords. ISIS and al-Qaeda were unheard of in Libya before Hillary got her hands on it. Now it is rotten with them. This is chilling. It reminds me, if anything, of the 1930's nazi Nuremberg rallies. The electoral fraud is rampant. they'll simply steal the election in full view. This is a very good report from RT and Gayane Chichikyan. "This is somebody’s sick sense of humor. It’s a cruel joke. They obviously want to make him look like some kind of ogre," said Karen Bernal, a Bernie Sanders delegate from California. 2016 NATO Summit: "Achtung, Russia!" from Inessa S on Vimeo. BREAKING: Second Turkish coup underway?? Did Russian Spetnaz save Erdogan?